Beauty and rarity are two wonderful traits in a gemstone. Tanzanite has them both. In fact, it is estimated that Tanzanite is 1,000 times rarer than diamond. But, what makes Tanzanite so popular is its color. Tanzanite’s gorgeous color is a captivating mix of blue and purple. The deep hues of violet, indigo, and blue come together in an unrivaled blend only found in Tanzanite. The amazing look of Tanzanite demands a price to match. Yet, even with its dynamic look, Tanzanite is still less in price than better known gems like Rubies, Sapphires, and Emeralds. There are many shades of color in the Tanzanite gem market. Some Tanzanites are extremely light blue. They are uninteresting and bland to look at. They are also priced very cheaply. Just because jewelry has Tanzanite as the gemstone, does not necessarily make it valuable. You have to see the color for yourself to know how valuable the gemstone really is. The main factors that influence the value of Tanzanite are its hue and how deep the color is. Less important, but still part of the equation, are the cut and clarity. As with all colored gems, the value of Tanzanite comes from its color. The size of the gem (carat weight) is also important, but how it looks in jewelry is essential. 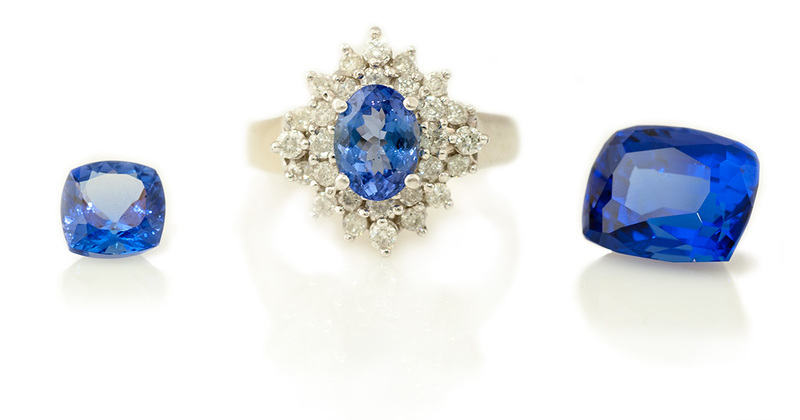 The History of Tanzanite is modern. In 1967 it was the Maasai tribesman Ali Juuyawatu who talked about his blue-violet crystal with Manuel de Souza. Then, in 1968, it was Henry Platt who named the stone “Tanzanite.” It was announced in that same year by Tiffany & Co. In 2002, the American Gem Trade Association (AGTA) added Tanzanite to the list of traditional birthstones for the month of December. Tanzanite is found in only one place on earth at this time. Mount Kilimanjaro in Tanzania, East Africa is the only place where the unique geology needed to form Tanzanite is known. This makes Tanzanite extremely rare both a gemological and geographic view. Now for you technical types, Tanzanite is a gem form of Zoisite. 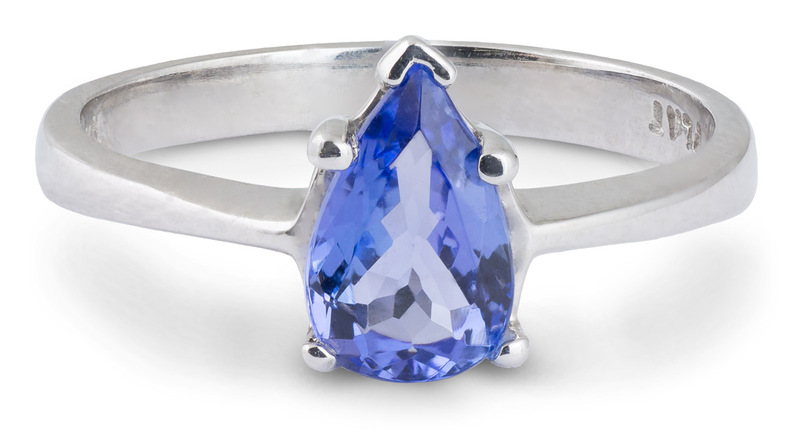 Tanzanite is universally heat treated. Because Tanzanite is a brownish color in its natural form, it is heat treated to bring out the natural beauty in the gem. Tanzanite has become one of the most popular gems in the jewelry market place. Some sources place Tanzanite as the fifth most popular gemstone after the “big four,” which consist of Diamonds, Rubies, Sapphires, and Emeralds. Tanzanite jewelry makes a great gift for anyone born in December, or anyone who just likes beautiful jewelry. This page was written in a comfortable, easy style and was very informative. I’m looking forward to reading more. Thanks for the kind words. You may also like the rest of the Gem in the Spotlight series.